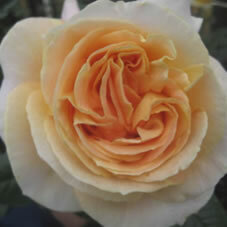 The Candlelight Roses is a lovely large headed, sweet scented peach Colombian Garden rose. Candlelight roses are paler on the outer petals than the middle and are often used to substitute peonies when out of season. Like all other commercially grown garden roses, Candlelight have a fairly short vase life. Candlelight Roses are wholesaled in boxes of 72 stems, (6 bunches of 12). It is possible to buy mixed boxes, specifying other garden rose varieties if required. If you are looking for a sweet scented, large headed peach garden rose, Candlelight Roses are just the ticket!